Overview of Spark. Spark Components and Architecture. Streaming. 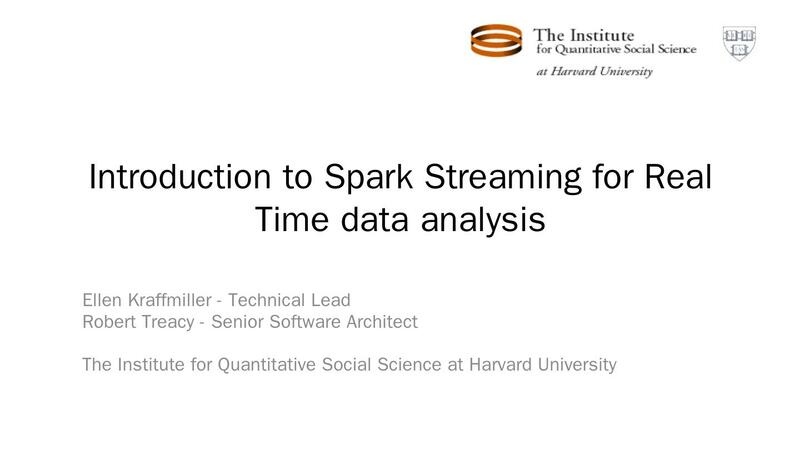 Storm, Kafka, Flume, Kinesis; Spark Streaming; Structured Streaming. Demo. Introductions.